The 1 shelf and 3 shelf versions shown in Grey. 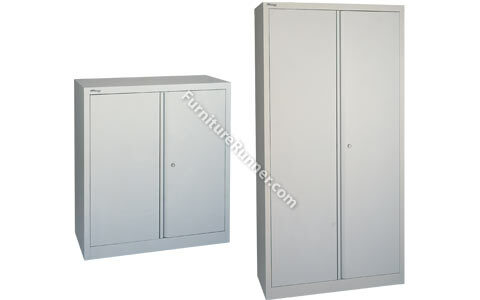 Robust welded carcass construction with smooth lines with flush fronted doors - no sharp edges. Hard wearing textured finish and a 3 point locking for added security. Comes complete with dual purpose shelves that can accommodate under shelf lateral files.